Sarah Newton, Member of Parliament for Truro and Falmouth, has secured assurances from the Government that action will be taken to help more low-income families in paying their heating bills. Responding to the concerns raised by Mrs Newton’s debate, the Energy Minister, Greg Barker, said that the Government would be looking at ways in which data could be shared more easily between Government and energy companies. This would mean that low-income households with young children could be easily identified and get the help that they need to heat their homes. Mrs Newton is supporting the Children’s Society campaign to treat low-income families in the same way as low-income pensioners for the Warm Homes Discount. In particular, Mrs Newton called for the standardising of eligibility criteria across all energy providers, automatically identifying eligible families with children and notifying them so they do not have to apply themselves. Taken together, these steps could help up to 120,000 families across the South West. Currently the Warm Homes Discount, worth £140 next winter, is a discount applied to electricity bills mainly for low-income pensioners. The Departments for Work and Pensions and Energy and Climate Change use their records to identify eligible customers and who their energy company is, and the energy company then applies the discount to their bill. Low-income families with young children, however, do not automatically qualify for the discount and have to apply against a set of criteria which varies between each energy supplier. Speaking after the debate, Mrs Newton said: “I am very pleased to hear that the Government is continuing to take the issue of fuel poverty so seriously and is building on the progress already made. Peter Grigg, Director of Policy, Research and Campaigns at the Children’s Society said: “Sarah Newton MP’s support for our call for all families with children in poverty to get the Warm Home Discount automatically is an important step forward for families across the country that are struggling to make ends meet. This year has seen a number of great examples of how the outstanding generosity of local people, combined with dedicated campaigning, can make a real difference to people living with health problems in Cornwall. In 2013 I was pleased to help the Cornwall branch of Dementia UK to launch a campaign to bring Admiral Nurses to Cornwall. Admiral Nurses are professionals trained in providing specialised dementia care who work to support families living with dementia, helping them to secure the care they need. This specialist help can make all the difference to people suffering from dementia and for loved ones looking after them. Dementia UK’s campaign, headed up by Falmouth resident Lisa Dann, has made great progress in raising the funds needed and I am delighted to report that Admiral Nurses are now out and about working in Cornwall. In a unique partnership with Cornwall Care, the Admiral nursing team, with all our support, is set to grow and provide their invaluable service to more people across Cornwall. This is just one example of local people coming together to tackle this most cruelest of conditions. Last year Falmouth became one of the UK’s first ‘dementia friendly’ communities with the launch of the Falmouth Dementia Action Alliance. The Alliance has seen a range of local businesses, groups, public services and individuals affected by dementia come together to work towards making the town an easier place for people living with dementia. These efforts have been led by two other inspirational local residents Bob and Topes Bridges, who have for years been involved with the Falmouth Memory Café, a safe and friendly space for people living with dementia and their carers. The trailblazing work of the Falmouth team has been joined in Truro, where a Truro Dementia Alliance has been formed with support from the Alzheimer’s Society and Truro’s Town Clerk, Roger Gazzard. Launched last Thursday with the support of dementia champions, members of the Truro Lions Club, and fellow Dementia Alliances, the Truro Alliance will help to make Truro a better place for people living with dementia and those caring for them. It is great to see Cornwall responding so brilliantly to the Prime Minister’s call in March 2012 for an “all out fight back against dementia”. The Government is upholding its own commitment to be at the forefront of this fight, doubling the funding supporting medical research into treating and eventually curing dementia and legislating for new rights and support for carers as part of the pioneering Care Bill. Further to this, Health Secretary Jeremy Hunt has committed to invest £90 million in boosting diagnosis rates for people affected by dementia. Reducing delays in assessments as early diagnosis can make all the difference in the management of the condition, and can secure a better quality of life for those affected. Whilst this is a good start there is still much more to be done and I will continue to lobby for more support from Ministers for local dementia patients and their families. Over the coming weeks there will be a lot of discussion over the rights and wrongs of Britain’s relationship with the European Union. I support Britain’s membership of the European Union. My support is based on the European Union’s track record of delivering peace and prosperity for the nations that belong to it. It is understandable that some people will view these claims of European peace and prosperity with a degree of cynicism. It is therefore worthwhile to recount some of the salient facts at the heart of the European Union’s past and present. By joining the European Union, governments commit to upholding personal rights and the rule of law. The significance of these commitments cannot be underestimated. For proof of their importance, we need look only as far as the Ukraine. In that country, on the borders of the European Union, a Government faced with protests against its corruption decided to trample on the rights of its citizens and use force to crush dissent. In response to unfolding events in the Ukraine, its neighbour Russia went back on its legal commitments not to invade the country and sent in it troops in order to secure the concessions it wanted. This behaviour would have seen both authorities subject to expulsion and sanction from the European Union, had they been member states. Membership of the EU obliges governments to refrain from reaching for the gun when faced with popular dissent or strategic threats. These restraints have meant that, while Western Europe saw ten major conflicts between 1852 and 1952, there have been no such conflicts since the EU’s formation. Why are governments so fearful of being kicked out of the EU? The answer lies in the second benefit conferred by EU membership, prosperity. A business based in any member state has free access to customers in any other member state, as a result of the EU’s rules on the free movement of goods. This opens up a customer base of some 490 million people. It is perhaps no wonder that, given this ease of access, 45 percent of Britain’s export trade last year was with other EU states. It is precisely because of my appreciation for the peace and prosperity conferred by the EU that I also feel strongly that it needs to change. All the progress it has achieved has gone hand in hand with a creeping disconnect from national sovereignty and popular democracy. If not addressed then the whole European co-operative project, first proposed in Britain by none other than Winston Churchill, could come crashing down. This is why I support David Cameron’s ongoing campaign for substantial and constructive reform of the European Union; reform centered on enabling people to have a greater say over decisions that affect them. Under Cameron’s proposals even the reforms themselves will need a democratic mandate, in the form of an in-out referendum on reformed EU membership. In its time the EU has delivered peace and prosperity. Now is the time for it to deliver a radically democratic form of European co-operation. Today the Chancellor has delivered the 2014 Budget and with it has announced a range of measures designed to further support our economy and to provide real help to people across the country. More support will be available for businesses to help our private sector to grow as well as major savings and pension reform. Federation of Small Businesses (FSB). ‘Today’s unemployment figures indicate further improvement in the jobs market and match reports we’ve been hearing from our members. Many have told us they have recently increased their headcount and they expect to employ more staff in the next quarter. As confidence in the economy grows, it is important that the momentum of previous quarters is maintained and this can only be achieved by maximising the job creation potential of small businesses. As such, the Employment Allowance coming into effect next month is a welcome step. Small businesses are also telling us they are beginning to raise staff pay which is reflected in today’s figures, and this will hopefully continue alongside low inflation so workers see real benefits in their pockets’ (John Allan, FSB Twitter, 19 March 2014). FSB. ‘Welcome focus on manufacturing; increased investment allowance, cuts to energy bills – will create jobs & strengthen this sector’ (FSB Twitter, 19 March 2014). Institute of Directors (IoD). ‘This is a responsible and imaginative budget which should promote growth, exports and investment. It will be widely welcomed’ (IoD Twitter, 19 March 2014). British Property Federation. ‘Win! Very pleased to see consultation on the SDLT treatment of PAIFs and TTFs – could make a real difference to the sector’ (British Property Federation Twitter, 19 March 2014). Forum of Private Business. ‘The headlines for business today are on energy policies and export. There are sizeable gains for UK manufacturers here in particular over the next few years. On export the Chancellor has thrown his weight behind getting more businesses exporting. Our membership is confident about growth but much of that growth is UK based so we needed to see such a commitment, though we will continue to work with the Treasury and others to develop even healthier export subsidies for business. Overall this was a budget that offers some help to all levels of business, with perhaps a slight focus on the mid-size energy intensive and manufacturing businesses, rather than the very small ones. However, it does help to tackle the cost of energy and makes good on the commitment trailed before the Budget to support those that look to invest, either in the UK – with a more extensive Annual Investment Allowance – or abroad, with a £3bn export support budget’ (Phil Orford, FPB Press Release, 19 March 2014). British Chambers of Commerce (BCC). ‘The Budget passed the business test, says BCC Twitter boss John Longworth’ (BCC Twitter, 19 March 2014). BCC. ‘Chancellor recognises that successful & confident firms are key to transforming Britain’s growing economic recovery’ (BCC Twitter, 19 March 2014). Home Builders Federation. ‘Extending the Help to Buy Equity Loan scheme is a very positive move. It will mean more homes are built, allow builders to get on with planning their businesses and employ the people needed to help tackle the country’s housing crisis. Help to Buy has reinvigorated the home building industry, contributed to a sharp increase in new housing starts and allowed thousands of First-Time Buyers onto the housing ladder. This in turn has seen the industry recruiting thousands of staff, including apprentices, so providing an economic boost to the country. We hope a political consensus to continue the scheme is in place before the election’ (Stewart Baseley, awaiting citation, 19 March 2014). FSB.‘Extending Help to Buy on new build properties and committing to a new development in Ebbsfleet will maintain increasing confidence in the construction sector, which has risen significantly in the past year. To continue to build on this increasing optimism the Government needs to ensure that small firms can access contracts and work. The financial support announced for small house builders will therefore be welcomed’ (FSB Press Release, 19 March 2014). Federation of Master Builders. ‘Access to finance is a major stumbling block for viable SME house builders so this government intervention is much needed as many major banks are still reluctant to lend for small residential developments. This additional support will provide the necessary finance to small house builders and help increase the overall supply of new housing through a well-functioning SME sector’ (Brian Berry, FMB Press Release, 19 March 2014). British Societies Association. ‘We also welcome the Chancellor’s proposals to boost house building, particularly the extension of Help to Buy: equity loan and the support for self-builders. Care is needed here that incoming regulation from Europe does not undo this welcome boost for self-build’ (BSA Press Release 19 March 2014). FSB. ‘Federation of Small Businesses welcome cuts to manufacturing energy bills saying it will help create jobs’ (FSB Twitter, 19 March 2014). EEF. ‘The Chancellor said this would be a Budget for manufacturers and he has delivered on his word. The Government clearly recognises the need to make the competitiveness of the UK a priority. We argued strongly for the need to reduce the rising cost of energy faced by many companies, and he’s acted on that. Taken together with measures to boost investment, exports and skills, the Chancellor deserves a pat on the back. We have always said that to achieve a resilient recovery Government must back manufacturing and we’ve seen that from this Budget’ (EEF Press Release, 19 March 2014). Confederation of British Industry (CBI). ‘The Budget will put wind in the sails of business investment, especially for manufacturers. This was a make or break budget coming at a critical time in the recovery and the Chancellor has focussed his firepower on areas that have the potential to lock in growth. The CBI has pushed hard for this significant and much-needed energy package that will help keep manufacturing jobs in the UK, while underpinning vital investment in new energy’ (John Cridland, CBI Press Release, 19 March 2014). Tim Abbot, Managing Director BMW Group. ‘Well for manufacturing the annual investment allowance is going up from £250,000 to £500 – excellent news, inward investment into the UK, help to export as well. I guess the carbon price floor being frozen as well will make us competitive within Europe. Great news’ (Tim Abbot, BBC Budget Special, 19 March 2014). BCC. ‘With a huge confidence gap still separating employers from young job-seekers, we are very pleased to see the Chancellor heed our call to help firms take on and train tomorrow’s workforce. Overcoming that confidence gap means more investment in young people, more apprenticeships, and more jobs’ (John Longworth, BCC Press Release, 19 March 2014). FSB. ‘We are pleased to see how seriously the Chancellor is taking the cost of energy. Without addressing the issue, especially in manufacturing, jobs could be lost to abroad’ (FSB Press Release, 19 March 2014). FSB. ‘Half (54%) of FSB members say problems with the UK’s road infrastructure costs their business up to £2,500 a year; a fifth say it has cost more. Recent flood damage has exacerbated the problem. The £200 million fund to repair potholes shows the Government is finally recognising the more prominent transport challenges for small firms and the importance of local roads to run and grow their business’ (FSB Press Release, 19 March 2014). FSB. ‘The Government has been very supportive towards businesses and households hit by the severe flooding earlier this year’ (FSB Press Release, 19 March 2014). FSB. ‘No fuel duty rise – welcome news to small firms struggling with the fluctuating cost of fuel’ (FSB Twitter, 19 March 2014). Which. ‘The Budget brings a welcome shake up for struggling savers who too often get a raw deal. Hiking the ISA limit will encourage more consumers to save, although we also now need to see more competitive interest rates from banks that have slashed these repeatedly in recent years. The overwhelming majority of people who buy an annuity from their existing provider could get a better deal on the open market, so today’s announcement should help stop millions of people from losing out on thousands of pounds of retirement income. The key to making this work will be a requirement on providers to give consumers high quality, impartial advice on their options across the whole of the market, with maximum protection at this critical time in their financial lives’ (Richard Lloyd, Which Press Release, 19 March 2014). IoD. ‘Some predicted a worse treatment for pensions, what we have heard is a significant improvement!’ (Stephen Herring, IoD Twitter, 19 March 2014). BSA. ‘The BSA has campaigned for years for the reformation of the ISA rules. Finally the Chancellor has listened and we are delighted that he has done exactly what we have been calling for: Increased the limit; delivered a single allowance which no longer penalises savers who want to invest in cash and allowed the transfer of funds in either direction between cash and stocks & shares ISAs. This will benefit many mid and lower income savers, especially those nearing retirement. We are also pleased that he has accepted the need to reform the 10p tax rate on savings, this new 0% rate must be simple for savers to claim’ (BSA Press Release, 19 March 2014). EEF. ‘EEF asked & Chancellor has delivered. Freeze in the Carbon Price Floor & RO/ Small Scale FITs compensation’ (EEF Economists Twitter, 19 March 2014). ACS. ‘We welcome the scrapping of the alcohol duty escalator and the decision to reduce beer duty by 1p, which will benefit consumers and reduce some of the pressure on local shops losing trade to the illegal market’ (James Lowman, ACS Press Release, 19 March 2014). FSB. ‘The 1p cut to the price of a pint will help publicans and responsible drinkers across the country’ (FSB Press Release, 19 March 2014). Andy Wilson, Managing Director of the White Horse Brewery. ‘I was so excited he decided not to put the beer duty up and also got rid of the beer escalator which gives us all now a chance to invest into our businesses, get more equipment but it’s really good that someone has now listened to the brewery and pub industry and is working with us. It’s tremendous’ (Andy Wilson, BBC News, 19 March 2014). IoD. ‘Announcements on export finance and cut in Air Passenger Duty very welcome for UK exporters’ (IoD Twitter, 19 March 2014). Sarah Newton, Member of Parliament for Truro and Falmouth, has welcomed the news that South West Water are working to reduce water bills even further. South West Water has drawn up a new long-term plan which has been submitted for approval by the regulator Ofwat, and if passed could reduce bills by 13 percent by 2020 in real terms. This builds on the 7.2 percent reduction this year, thanks to the Government’s £50 rebate, and the freezing of tariffs until 2015. The water company has also detailed its plans for significant investment across the South West with Cornwall benefiting from investment in the water system. Such large investments include £42 million to investigate and improve bathing water quality in areas such as Perranporth, £31 million to improve quality of shellfish waters including the River Fal, £25 million to improve drinking water quality and £9 million on a new Downstream Thinking scheme to cut the risk of sewer flooding and overflows which includes Truro and Falmouth. 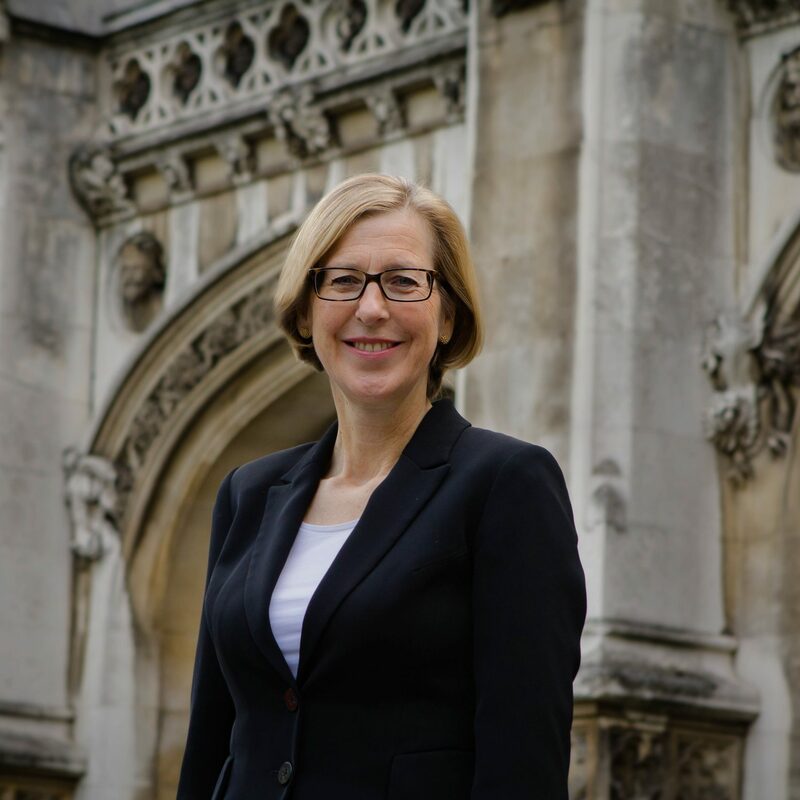 Sarah Newton said: “I am delighted to see that South West Water have modified their plans so that in the coming years customers will see their bills fall while the standard of the water network improves. This work builds on the solid improvements that have already been made in Truro and Falmouth and across the whole Cornwall.